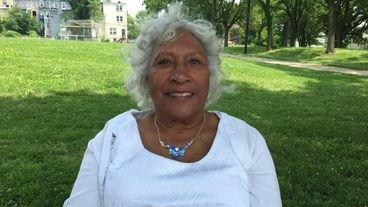 Helena Hicks has remained active in Baltimore through eras of desegregation and the drug trade. Now she gives back to her childhood neighborhood, the same one where Freddie Gray lived. When I set out to interview Helena Hicks, I thought we'd talk history. The soft-spoken, 80-year-old who stands just 4 feet 10 inches tall with a sleek, silver bob, is known for her role in helping to desegregate Read's Drug Store chain. But it turns out she's as active as ever, a force to reckon with at any sense of injustice. "My father taught me that 'you are somebody,' " she says. "If it's wrong, you do something about it." Wonderful lady. Thanks for sharing Cal. Noted Cal---and Darren's comment on having interviewed this lovely whirlwind, defender of justice. What an interesting honor that must have been, Darren, and she must have been a remarkable addition to your treasury of beautiful memories. 💕Faith in human race restored for today!